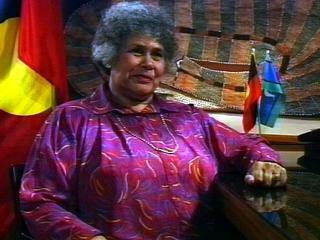 discuss and reflect upon the historical importance and influence of Aboriginal rights activist, Lowitja O’Donoghue, and the extent to which this illuminates and draws attention to the wider “Stolen Generation” issue in Australian history since European colonisation. select and interpret information, formatting and aiming it at a defined, specific audience, using computer tools and technology. research and adapt relevant information to a particular form of history presentation. demonstrate an understanding of a major historical document, critique and carry out an assessment and analysis of the document’s wider ramifications, and construct a report with additional recommendations. Research, write and edit a 500-word history biography about Lowitja O’Donoghue for a magazine aimed at young teenagers, drawing attention to her importance as a campaigner for the rights of Indigenous Australians. Ensure you select relevant information, giving it due weight and prominance, and that it is written in your own words. Use desktop publishing software to format your presentation. Read the Background Information for this video clip, carry out further research, then construct an annotated timeline of the history of the governmental removal of children from their Indigenous parents and communities, from its beginnings through to the Bringing Them Home report in 1997, and beyond. Include timeline references to where Lowitja O’Donoghue’s story fits into this scheme. In pairs research the findings of the 1997 Bringing Them Home report, then prepare an illustrated poster display of the findings and recommendations. Following from the previous activity, in pairs or small groups carry out further research then draft a report examining the extent to which the recommendations of the Bringing Them Home document have been put into practice. Include considered arguement as to the success of the recommendations, and your own recommendations for future development on this general question.